Massage Therapy Thai like other Asian massage techniques is a form of therapy based on the theory of the flow of energy between specific points in the body. It is through the massaging and stretching of this network of energy lines that Thai Massage releases tension by allowing energy to flow more freely. Promoting this free flow of energy works to restore balance that alleviate problematic conditions. During a session the therapist uses their hands, knees, legs, and feet to move the client into a series of yoga like stretches. Muscle compression, joint mobilization and acupressure are also used during the treatment with a resulting suppling and structural aligning of the body. This blend of acupressure and stretching is especially beneficial for those who find themselves stiff, sore and tired from over exertion in work, sports or from disorders affecting mobility. Thai Massage is used to treat a variety of problems and conditions including muscle cramps, headaches, chronic pain, digestive problems and more. Treatments strengthen the immune system by stimulating blood circulation and lymphatic flow. Massage Therapy Thai is done on a comfortable mat on the floor as opposed to a table. During the massage no oil is used and the recipient remains fully clothed. Please bring or wear comfortable clothing that dose not restrict your range of motion. Massage Therapy Shiatsu means “finger pressure”. Similar to acupressure, this technique incorporates the pressure of fingers, palms, elbows, knees and feet that unblocks the flow of life energy at specific acupuncture points and restores balance. Shiatsu recognizes the Yin (negative) and the Yang (positive) as the two energy forces and the Five Elements as governing through the energy meridians to vital organs. Shiatsu is used to treat a variety of problems and conditions including muscle cramps, headaches, chronic pain, digestive problems and more. Treatments strengthen the immune system by stimulating blood circulation and lymphatic flow. Massage Therapy Swedish is probably the modality that comes to mind when most people think about a massage. It is one of the best known types of bodywork performed today. The primary goal of Swedish massage technique is to relax the entire body. This is accomplished by rubbing the muscles with long gliding strokes in the direction of blood returning to the heart. But Swedish massage therapy goes beyond relaxation. Swedish massage is exceptionally beneficial for increasing the level of oxygen in the blood, decreasing muscle toxins, improving circulation and flexibility while easing tension. Massage Therapy Deep Tissue , as its name says, focuses on the deeper layers of muscle tissue. It is designed to reach the deep sections of thick muscles, specifically the individual muscle fibers. Using deep muscle compression and friction along the grain of the muscle, the purpose of Deep Tissue Massage is to unstick the fibers of the muscles and release deeply held tension points. Specific hand positions and strokes are used to respond to various tissues while breath and movement techniques are employed to release muscular congestion. It helps to loosen muscle tissues, release toxins from muscles and get blood and oxygen circulating properly. It is both corrective and therapeutic. It is beneficial for many physical problems, including sports injuries and chronic pain. Because it works very deeply, emotional issues can also be addressed. Massage Therapy Bamboo is an innovative way to provide Swedish or Deep tissue massage using bamboo to roll and knead the tissue to create an extreme sensation of relaxation and well-being. Bamboo massage is also used as a powerful preventive therapy against modern-day stress and to aid relief from many physical and emotional problems. Massage Therapy Hot stone combines thermotherapy with massage techniques to provide an effective healing treatment. The direct placement of heat on a particular area increases local blood and lymph circulation and relaxes muscle tissue. The deep tissue strokes we do with the stones assists in breaking down adhesions and scar tissue that result in more long term benefits. Energetically heat stimulates movement and assists in removing the stagnation that can lead to pain and other imbalances in the body. The combination of thermotherapy and deep tissue strokes results in a treatment that will help flush toxins from the body, promote the flow energy, decrease musculoskeletal pain and create a deep sense of relaxation. Massage Therapy Aromatherapy combines a Swedish massage with a personalized blend of pure essential oils to stimulate the lymphatic and immune systems, and to soothe the nervous system. This massage is very beneficial for people that are over stressed and are suffering from tension and anxiety. Massage Therapy Studies suggest that Breast Massage can improve the breast shape and size. The breast is made up of fatty tissue, glands and lymphatic ducts and nodes. This practice is met with some skepticism because some view the female breast as a sexual organ. Breast massage involves kneading, rubbing and light pressing of the tissue to help increase circulation as well as benefit the breast that has had surgery and contains scar tissue. This practice can save a life by detecting lumps that may be related to cancer. The lymphatic system consists of lymph vessels, lymph nodes, and tissue such as tonsils, spleen, and thymus. The lymphatic system is the defense mechanism against infection and disease and aids in removing excess fluids from the tissue spaces. The lymphatic system does not have a pump like the circulatory system has the heart. This part of the body relies on gravity and body motion to circulate within the body. There are several methods to lymphatic massage ultimately promoting and encouraging the flow with rhythmical controlled strokes to find a path for drainage. This technique helps restore the connective tissue, removes inflammatory toxins, and helps the immune system to be more efficient. It is very beneficial as a post surgery treatment to removing swelling and pain. 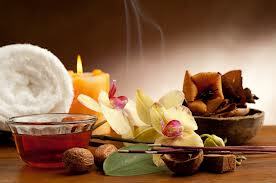 Lymphatic massage is also used to treat arthritis, fatigue, pain in joints, cellulite and more. Massage Therapy Sports massage is used as a preventive medicine for many athletes before, during and after sporting events. A combination of techniques such as Swedish massage, Shiatsu, Deep Tissue and Relaxation before an athletic event can prepare the athlete for increased performance. During events to keep the muscles loosened and warmed up to reduce injuries and after a hard workout to rid the body of stress, relieve fatigue and remove toxins and byproducts the body produces in strenuous activity. Massage can make the training and body building experience much more effective. Massage Therapy this therapeutic massage eases aches and stress due to pregnancy. The client is positioned in total comfort and supported by comforting pillows. Relaxing effluence strokes help to release pressure and pain throughout the body and especially in the lower back, hip and any other body part as indicated by the client. Massage Therapy Reductive This Cosmetic Massage helps to sculp your body. For more information Beauty & Cosmetic Treatments.